OH hey, have I mentioned we’ve put together a Special Introductory Offer to help us kick this baby off…and save you money too? 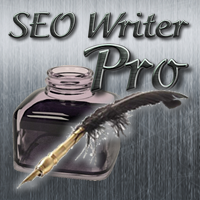 That’s right, for a limited time, you can save 33% on our blog content and SEO article writing services. Simply order 5 SEO Optimized articles of up to 500 words today, and save $10 per article. This is a very low risk, inexpensive way to check us out and see what you think of our work. to see if you like our work. must supply the keywords and keyword phrases you wish us to use. To order your articles, simply use our convenient Contact Form to tell us what you need, including your keywords and keyword phrases, and we will send you a time projection for completion of your blog content or SEO article writing project. To pay for your articles simply click here: PayPal; using this email address to make your payment: rcmc_467@hotmail.com. This entry was posted in Special Introductory Offer, Writers and tagged affordable seo articles, affordable seo writer, blog content, blog content writer, blog writing, Freelance Writer, fresh affordable online content, ghostwriter for online content, online content writer, PLR re-writes, relevant timely well-written content, seo article writing, seo professional writer, SEO Writer, seo writing, writers. Bookmark the permalink.